Alice Springs Chicken, an Outback Steakhouse Copycat Recipe, is a mind blowing copycat recipe that will trick your senses into thinking you are out to eat instead of in your own kitchen. 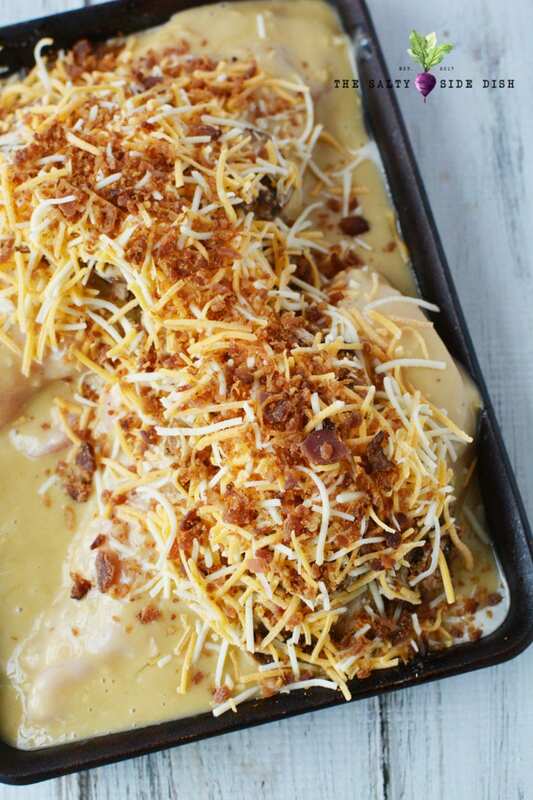 Dripping in honey mustard sauce and crispy bacon, this Alice Springs Chicken Recipe is your new favorite OMYGOODNESS meal. I have two favorite restaurants, Outback and Carrabba’s. Ironically they are sister restaurants and no surprise to me because they both have the delicious food thing down. The only problem is that Outback is about 45 minutes from my house and that does not make a quick trip. On a weeknight it makes almost an impossible trip and on a weekend, with the kids in sports and scouts and cheer leading, it might as well be any night of the week. But that doesn’t mean I cannot enjoy the incredible flavors of my favorite restaurant from the comfort of my own home! 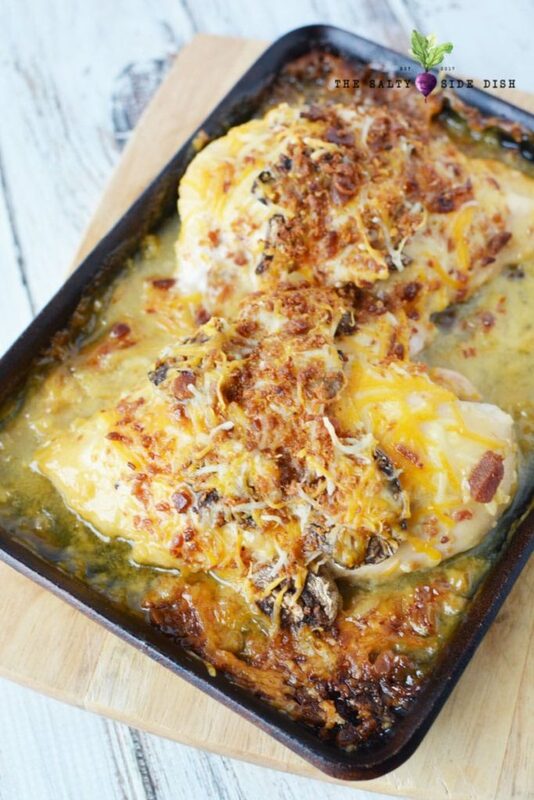 While not served in my favorite ambiance, this Alice Springs Chicken recipe runs a close second to making you happy and is a fantastic copycat chicken! 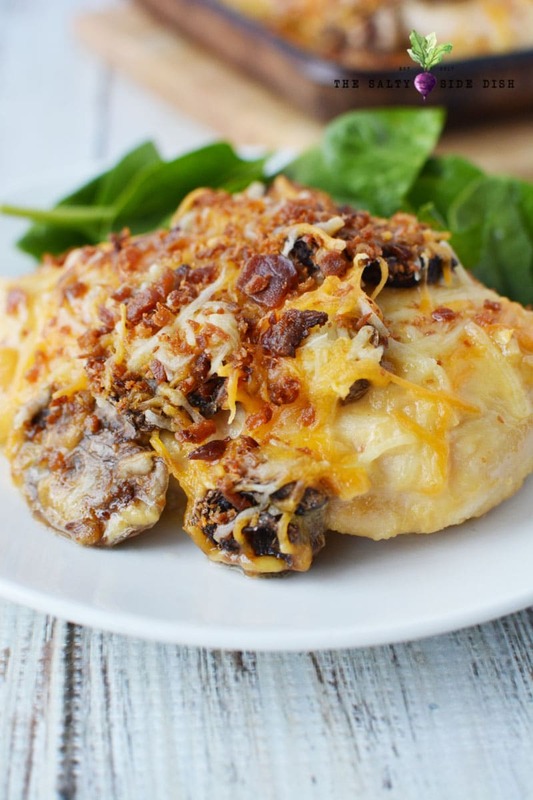 Moist chicken covered in cheese and honey mustard with just the sprinkling of mushrooms and bacon, making this a hearty dinner menu item that your entire family will be excited to eat. Or you can make a special date night for you and your honey and send the kids to their rooms with pizza (hey, mine like that). If you are looking for some other delicious chicken recipes, try this Honey Garlic Chicken Recipe…SO GOOD. If Alice Springs Chicken is your go to menu item at Outback and you just cant make it over there as often as you want, this chicken recipe will be a go to favorite. Paired with the homemade (copycat) Outback Honey Mustard, and these mashed potatoes (as a side dish), Alice Springs Chicken is a perfectly sweet and tangy recipe that you will LOVE! Preheat oven to 350 and grease a baking sheet with nonstick cooking spray. 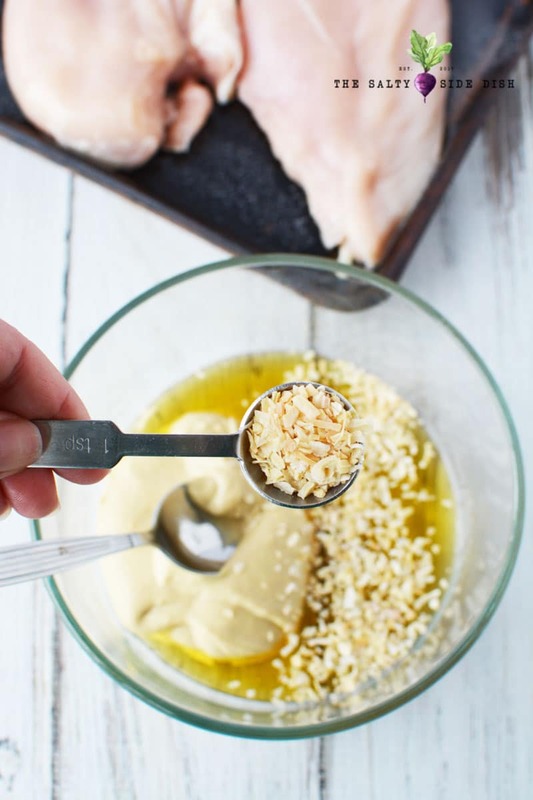 Place defrosted chicken breasts on pan and sprinkle with season salt. In a separate bowl, combine mustard, honey, mayonnaise and onion. 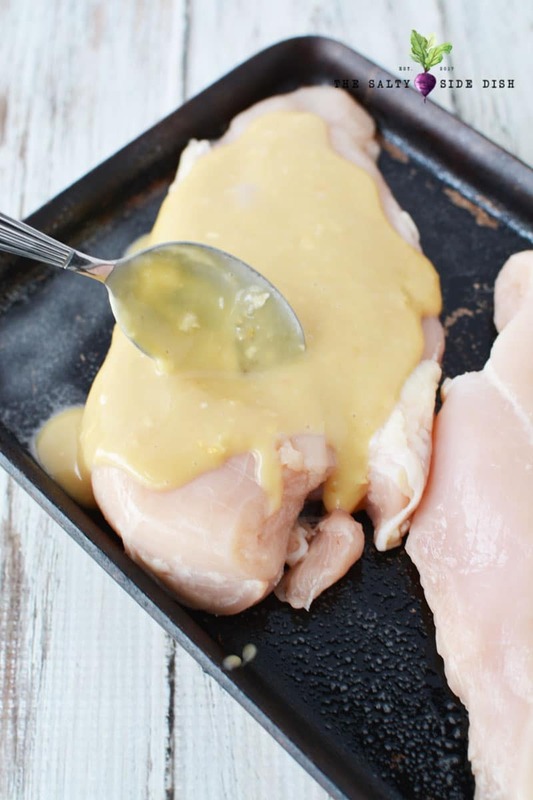 Mix well and generously spread honey mustard sauce onto chicken. Top with mushrooms and cheese. Bake for 30 minutes or until chicken is cooked in the center and no longer pink. What to serve with Alice Springs Chicken? In the Outback steakhouse restaurant itself you have choices like an ensalada caprese salad, mashed potatoes, broccoli or a variety of oven roasted veggies like these carrots. Pair up your Alice Springs chicken with one of those side dishes and some dinner rolls and you have an entire restaurant quality meal without leaving the house. 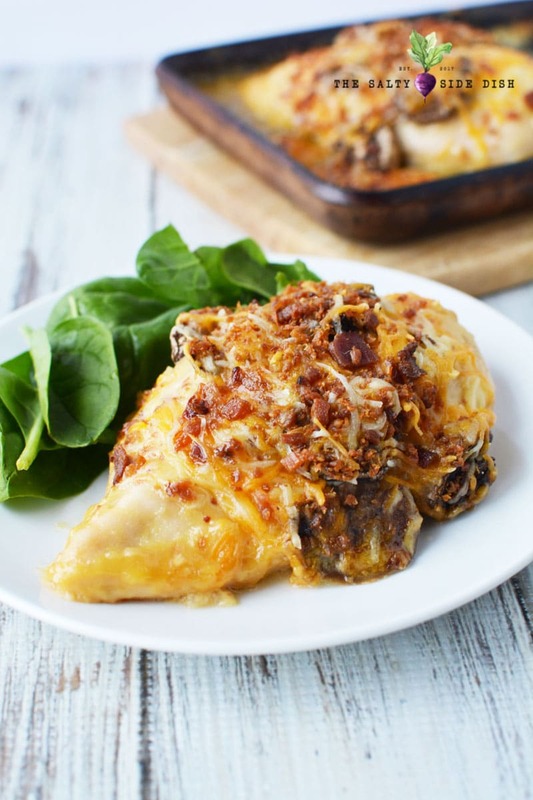 Alice Springs Chicken, an Outback Steakhouse Copycat Recipe, is a mind blowing copycat recipe that will trick your senses into thinking you are out to eat instead of in your own kitchen. Dripping in honey mustard sauce and crispy bacon, the WOW factor for tonight's menu. Preheat oven to 350 and grease a baking sheet with nonstick cooking spray. Place chicken on pan and sprinkle with season salt. In a separate bowl, combine mustard, honey, mayonnaise and onion. Mix well and generously spread onto chicken. Top with mushrooms and cheese. Sprinkle with bacon bits. Absolutely delicious and it tasted So amazing just like the restaurant it was so simple to prep and cook and the family Enjoyed it ! I doubled The recipe with my family of 4 lol ! Saved in my pins 🙂 broccoli and homemade red skinned mashed potatoes. 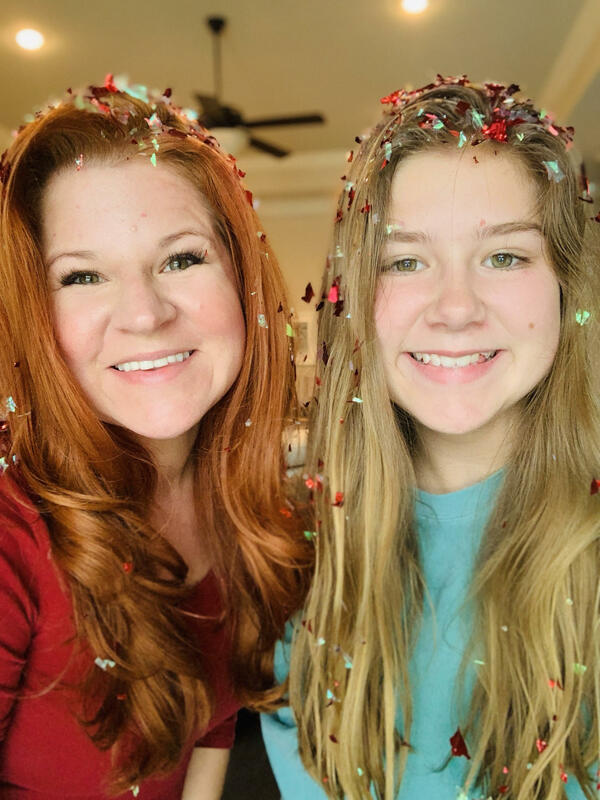 Hi Kelly! Thank you for taking the time to come back and respond. I love your side dish options there too with red skinned mashed potatoes and broccoli. I need to come over to your house! I have made this before but not this recipe.. can’t wait to make it again.. would love to know the amount of carbs…. you can pop the recipe link into carbmanager to read carbs, I havent found anything 100% reliable so I dont like to give nutritional advice.